When I sang with my French chorale in Greece, we saw groves and groves of olive trees. Even though the soil at times seemed dry and the sun relentless, these trees thrived. Their twisted gnarled trunks and their evergreen tops dot the landscape and provide a versatile fruit. I wondered why the Psalms used this image of the one who trusts in God’s unfailing love. In reading about olive trees I learned that it is known for its tenacity. It is grown in almost any condition and can thrive in great heat with minimal water. Some olive trees grow root systems 2000 years old! It is virtually indestructible. Even when cut down or burned, new shoots will emerge from the roots! Trusting in God’s unfailing love makes me strong and indestructible like the olive tree! Being loved by my Creator gives me that tenacity to face whatever life brings. Knowing that His love will not fail me gives me the strength to thrive, regardless of my circumstances. His love is what makes life even possible. Unfailing love is something supernatural. Even with the best intentions, my love for others routinely fails. Being so flawed, an unfailing love seems impossible. But God IS love. His love is from everlasting to everlasting. His love does not depend on my performance or my love for Him. It does not fluctuate depending on the day. His love is so wide and long and high that it surpasses knowledge (Eph. 3:18). And it is this unfailing love that makes me flourish like the olive tree. I am amazed that you love me, Lord! Help me believe it today! Categories: Faith and Trust, God's Love, Tree Images | Permalink. When I think of chariots and horses my mind goes immediately to the famous chariot race scene in the epic movie, Ben Hur. The only way to watch that chariot race is on the edge of the seat! It took five weeks to film this nine minute segment and the studio used 15 thousand extras for the crowd of spectators. There was an infirmary created especially for this scene because of the potential for injury. There were no injuries, however, except some bad cases of sunburn. Three life-like dummies were strategically placed to give the appearance of bodies run over by the chariots. 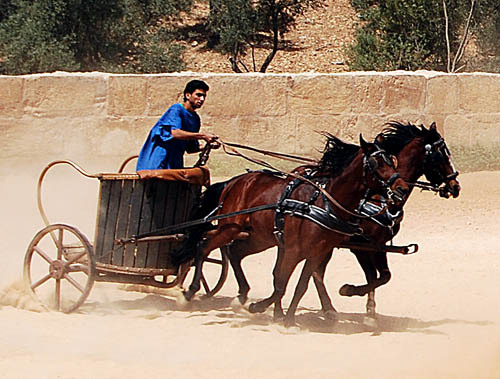 Horses and chariots were important instruments of war in biblical times. The winning side in a battle were often those with the best built chariots and the swiftest horses. In our verse for today, one can choose to place their confidence in their horses and chariots or in the name of the Lord. The choice is basically the same today. We can choose to place our trust in our own efforts, or we can depend on the strength of the Lord. It is the Lord who gives victory with the power of His right hand (verse 6). To trust in oneself is no guaranty of victory. Trusting “in His name” is trusting God Himself. Those who know His name will have an easier time trusting in Him (Psalm 9:10) When I lack confidence in Him, I am doubting either His goodness, His control, or His power. The more I get to know Him, the more likely I am to absolutely depend on Him. That trust comes through a close relationship. Help me Lord, to completely trust Your loving heart. It is flu season now in California. My husband and I had our shots in November, but there are so many strains, there is no guaranty that we won’t catch it. The hospitals in the area are not allowing children under fourteen to make visits and they are screening all others at the door. School absenteeism is on the rise and simple preventative measures are being reviewed in the media. No one likes being ill. We count on our healthy lifestyles and our doctors to keep us well. For the believer, the request for healing of loved ones or for ourselves make up a large part of our prayers. Our verse for today says that through the sacrificial death of Christ we have peace with God. Because He took the punishment for our sins, those who place their faith in Him are forgiven! It goes on to say that by His wounds we are healed. Quite frankly, even with lots of faith and lots of prayer, one is not always healed. But this verse speaks of a more important healing in the spiritual realm. God absolutely heals us physically when it is part of His plan. But it is always part of His plan to give us spiritual healing. His healing mends my broken heart, and He heals me from the awful effects of sin. He will one day heal me for eternity with a heavenly body that is perfect and incorruptible! Thank you Lord, that in my future, sin and sickness will be a distant memory. I come from a family of rock hounds. 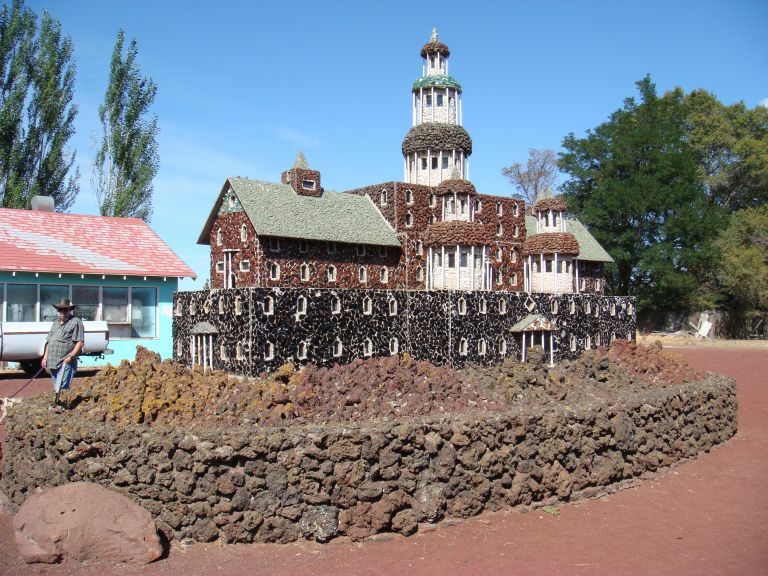 That is why a favorite vacation destination when growing up was the Petersen Rock Garden near Bend, Oregon. Perhaps the obsession with rocks is in my genes as our family name is similar; Peterson. The four acres that comprise this garden are filled with structures made mostly from rocks found on the farm. The Danish owner built it from 1930-1950 and it is still standing today. The rock structures were mostly built with patriotic themes. If rocks could speak, then they must have been expressing to this Danish immigrant his strong feeling for his new homeland! In our verse for today, it is surprising to learn that stones can literally speak, should the Lord command it. At the occasion of Christ’s procession into Jerusalem on the back of a donkey, crowds lined the streets waving boughs from nearby trees. The crowds and the disciples were fulfilling the prophesy of Psalm 118:26. The disciples were shouting, “Blessed is the King who comes in the name of the Lord.” Had they not verbalized this, Christ would have commanded the rocks to shout it! God’s will can not be thwarted. If He says something will happen, it will! All His prophecies will be one day be realized. He is always true to His Word. What He says is worthy of our trust and confidence. He has all the power accomplish His Word, even if it means commanding the stones to speak! There is no circumstance in my life that will frustrate His plan for me. Thank you Lord, that I can count on You and Your promises. Categories: Faithfulness, God's Strength and Power | Permalink. We have friends who are “desert rats!” They are drawn to the remote immense spaces. No matter that it is often dry and uninhabitable. There is something about its harsh beauty that allows one to breathe after the congestion of the city. It is always surprising to see flowers bloom on a cactus in the desert. Its spiny surface seems incongruent with the fragile beauty of a flower petal. Our God is so creative to plant something so delicate where we least expect it! Our verse for today encourages us to look and see what God is doing. We could miss it. 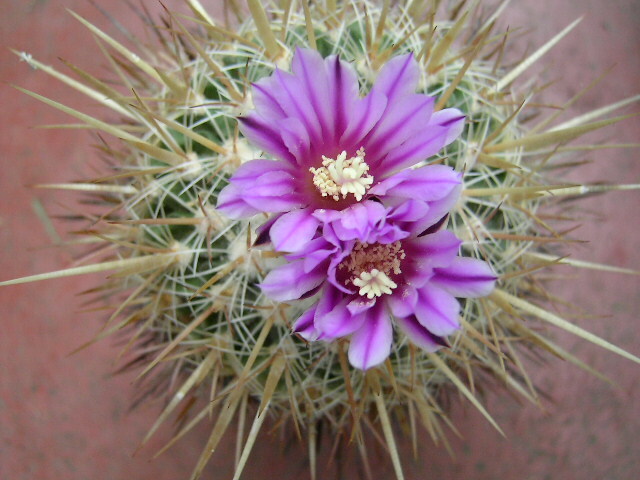 Because the cactus flower often opens with the sunlight but closes with dusk, passing by its beauty is easy to do! In the same way, we can pass by unaware of what new thing God is creating. He makes a way in the wilderness and streams in the wastelands. He makes something beautiful in a dry barren place. It is too easy to see only the negative. I need to watch for what new thing God may be creating in me or in my circumstances. Am I looking for that good He promises in Romans 8:28 or have I become accustomed to seeing only the trial? Have I settled for something less than what God had intended for me? Open the eyes of my heart Lord, so I can see the bigger picture of what You want to accomplish! If it is good and beautiful I know it is Your doing! Thank you, Lord, that no trial or pain is beyond Your reach to produce something positive and wonderful! Categories: Faithfulness, Flower Images, Hope, Suffering and Trials | Permalink. The concept of pawnbroking has long been a part of both Eastern and Western cultures. In China it has been practiced as far back as 3000 years ago. 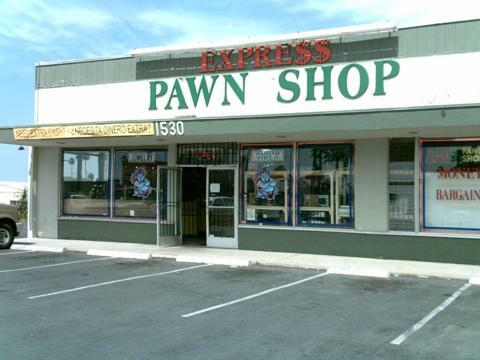 In the West, pawnbroking was part of both the Ancient Greek and Roman Empires. The idea is simple. One gives a pawnbroker something of value as collateral for a loan of money. When within a certain contractual period of time one repays the loan with interest, that collateral can be redeemed. Of course, if the loan is not repaid, the pawnbroker is free to sell the item. In our verse for today, people are redeemed. We were meant to belong to our Creator in close relationship with Him. But because of our sin, we wandered into the enemy camp. We needed to be rescued from the dominion of darkness and brought into the kingdom of His Son (Col. 1:13). We were trapped in an empty way of life. How amazing that God thought I was valuable enough to redeem! Because of His love for me, He paid with what was most precious to Him. The price He paid for my redemption was not mere gold or silver. It was the precious blood of His Son! Christ’s perfect sacrifice for my sin paid the debt I owed. He paid it in full. There is no nothing left to pay. I am completely His and can enjoy His love forever! How grateful I am to be redeemed! How I love to proclaim it, because it means He loves me! 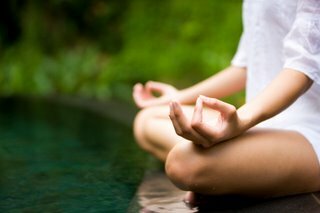 There have been many testimonials to the health benefits of the physical poses used in yoga. It is said to alleviate different health problems, reduce stress, keep the spine supple, and improve breath control and core strength. I have learned that there are different kinds of yoga. But their goals are the same; to use physical, mental, and spiritual practices with the goal of attaining a state of permanent peace. When one adopts the yoga philosophies of chanting and meditation to attain peace, it is at best short-lived. Peace with God and peace with others comes from One source; the Prince of Peace. He has promised His peace to us and it is not the peace offered by the world. Rather than meditating on the sound of the “om” vibrating through the body, our verse for today gives a much more meaningful subject. We are to meditate on God’s unfailing love. It is an amazing truth worthy of meditation! To even grasp the incredible idea that He could love me takes some serious contemplation! It takes time to wrap my head around a love for me that is eternal and unconditional! Thinking about His unfailing love for me gives me that elusive peace for which so many long. When I meditate on how much He loves me, I am reassured that He cares about every little detail! Mountains can shake and hills be removed, but His unfailing love will never be shaken or His peace ever removed! (Isaiah 54:10) Lord, I can never thank You enough!